What you need to know about child support. During Child Support Awareness Month in August, and even during the rest of the year, it’s important to be mindful of the facts about child support. Child support is money paid to cover some or all of a child’s basic needs, such as food, clothing, housing, education and childcare. Some child support orders may also provide for health insurance and medical coverage, as well as things like academic tutoring, lessons, camp, vacations or extra curricular activities. Unfortunately, all too often when we hear about child support issues it’s because of “drama” that a separated couple is experiencing. The disputing parties could be you and an ex, someone you know, or a celebrity with child support issues. While battles over child support and failure to pay child support are big problems in America, there are many other facets to this complicated, yet under-reported topic. 1) Although men are most frequently the providers of child support, 15% of all people who pay child support are women. 2) The average child support payment made in the U.S. is just $430 a month. 3) About 30% of all custodial parents never receive one cent of the child support legally due them – even if they have a court order for child support. 4) There are no national guidelines for determining an adequate amount of child support. Each state uses its own calculations to set child support. 5) Child support money is completely tax-free income for the recipient, but is NOT tax-deductible for the person paying child support. 6) Child support and visitation rights are two distinct and different legal matters. (You can’t legally stop paying child support just because an ex makes it hard for you or even prevents you from seeing your child). 7) Child support is not dischargeable by bankruptcy. (Even if you are dead broke, deep in debt or out of work, a bankruptcy judge cannot wipe out due or overdue child support payments). 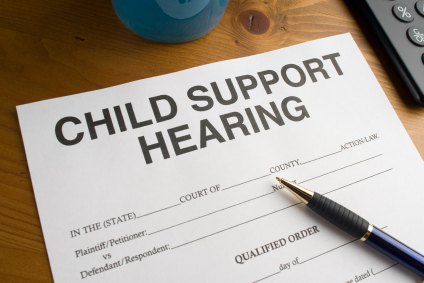 8) Child support orders can always be modified by a court order. (If there has been a significant “change of circumstances,” either parent can go back to court and request that child support be increased, decreased, or even eliminated). 9) A parent who is unemployed or has a reduction in income is still required to pay all court-ordered child support, unless that parent has received a court-approved, written child support modification from a judge. 10) Failure to pay child support can lead to serious consequences, including wage garnishment, asset seizure, credit bureau reporting, driver’s license suspension, passport denial, withholding of unemployment benefits, and even arrest or jail time.